Are you afraid of the Winnipeg Police? Critics of the “creeping militarization” say when police appear more and more often in body armour and military clothing, with automatic weapons and armoured vehicle, it creates distance and fear between the population and the forces. Don’t Like the Gurkha, so sell it. 5) that it is too costly. And concern, because the Police Service has done a poor job of providing background information and justification for the purchase. One might ask the question: Where were all these people who have concerns about militarization and costs when the Police Service launched its air force? I agree that in a day and age where Police Boards provide oversight of police departments, the process used to acquire this piece of equipment was perhaps less than politically astute. The result is that the Police Service has lost the ability to make purchases of this type in the future. As well, I have yet to hear any really sound arguments being made by the Police Service other than in general terms as to how this piece of equipment will add value. The Police Service was probably caught flat-footed on this one because they had no intention of this becoming a public discussion at this point in time. There probably is a communications strategy in the process of being developed to deal with this issue and justify the purchase but I’m surmising it was not intended to be used until some point in the future, so it was not fully developed and ready to go at this point in time. They should however have anticipated that the purchase of an item such as the Gurhka could not be kept under wraps indefinitely and been better prepared to deal with it when the information became public. All that being said the question remains, can this purchase be justified as an operational need? 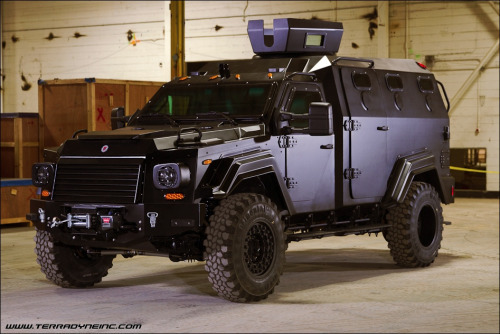 As a former police officer, I am personally aware of discussions for the need of an armoured vehicle that go back 30 years – long before ‘militarization’ had become a buzz word. The situation that gave rise to the discussions was an armed and barricaded scenario in St. Boniface where a man shot his entire family and then barricaded himself in a house, armed. Police were faced with a situation where a young child had been shot but was still alive, laying in the front yard with no means to safely perform a rescue. Since that incident there have been many others, perhaps not as dramatic but still of a nature where some form of armoured vehicle would have served a very useful purpose. I would suggest that if the Police Service scratch its collective memory they could provide a long list of scenarios that would justify the need for an armoured vehicle even in the minds of the most jaded opponents. In terms of cost, although $350,000.00 seems like a big number when amortized over the predicated useful life of such a purchase, it amounts to less than $20,000.00 a year. Although I personally do not support carte blanche militarization of policing I do support the purchase of military type equipment in situations where the need can be justified for operational reasons.The devil as always will be in the details. The manner in which this piece of equipment will be deployed will show the intent of the Police Service and could go a long way to silence the critics. If it is rolled out willy nilly, however, the police will run the risk of losing public support. It should be used in situations where its use can be operationally justified. If this is really seen by the Police Board, the Mayor, or City Councillors as an example of the police overstepping their authority and acquiring a piece of equipment that either the police don’t need or that they philosophically disagree with, let them step forward and justify their position and then sell the damn thing (I dare you). There is a market out there for these types of vehicles.